The list includes the Leichtag Foundation, Lisa & Douglas Goldman and other good Jews. In reviewing the most recently available financial report of the New Israel Fund, one can be amazed at some of their donors who - we hope - are not fully aware of the activities of the New Israel Fund (NIF), which provides nearly $27 million to radical left-wing and some openly anti-Israel organizations. While many donors use NIF purely as a “clearinghouse” whereby their funds are passed to “partner” organizations, by using NIF as a conduit donors are lending tacit support to issues which are dangerous to the State of Israel. Check the organizations who receive their funds and it is clear. One of NIF’s largest donors, The Leichtag Foundation is devoted to “..Igniting and inspiring vibrant Jewish life, advancing self-sufficiency and stimulating social entrepreneurship in coastal North San Diego County and Jerusalem.” They believe in “supporting renewal in Jerusalem and building connections between San Diego and Israel.” No matter where they may stand on a two-state issue, it would be hard to imagine them supporting the radical extremism espoused by NIF. Another 6-figure NIF donor, the Lisa and Douglas Goldman Fund, announce vocally on the Internet that they are proud donors to the Friends of Israel Defense Forces, a great organization which provides supplies to IDF soldiers. The list of good Jews who are NIF donors goes on and on – From Lela Goren, whose brothers founded Israeli tech company Radiant Systems to Dan Doctoroff to the Stella and Charles Guttman Foundation, who believe in “Arab-Israeli co-existence” but would not agree in harming the very essence of Israel as a Jewish state. Extremists of all sorts must be rejected, especially when it comes to the delicate and volatile Middle East. Funding NIF, even if they have some programs one can support with a clear conscience, also encourages extremists and helps lead to more bloodshed in the Middle East. Concerned donors should insist on giving directly to the charity of their choice – and not via an extremist organization like the New Israel Fund. 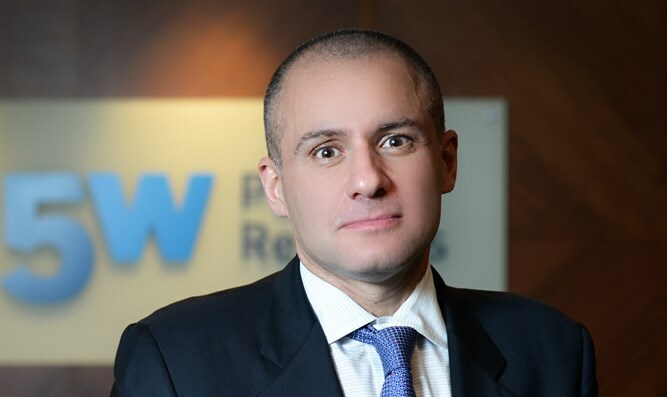 Ronn Torossian is a philanthropist, author and entrepreneur. 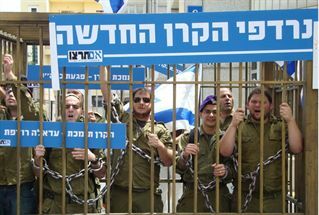 Note: The photo accompanying this article (click oped in the menu at the top of the main page to see it) is from an Israeli students' organization demonstration. The Hebrew says "We are persecuted by NIF."